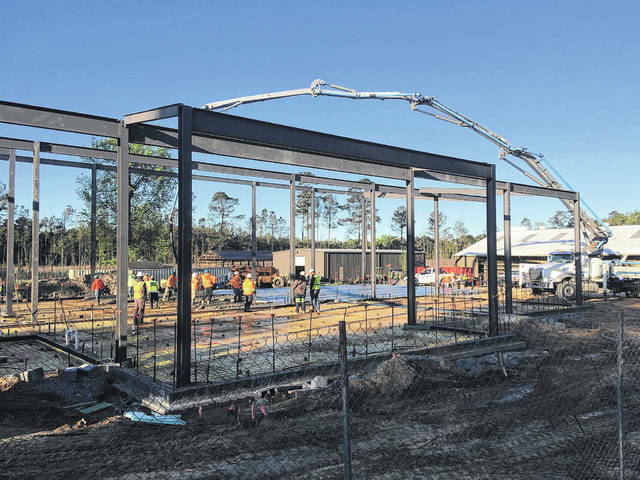 Sampson Community College’s welding department recently made a purchase that will only enhance the new state-of-the-art welding facility currently under construction and allow for students to receive safe hands-on training. Lead welding instructor Dale Godbold says he is excited about the new facility, as well as the new tools being purchased to use once the building is complete. Godbold, and other instructors, have been busy setting up the new welding simulator that will provide students with a virtual learning experience that simulates a real-life welding scenarios. Using virtual reality goggles, welding students will have the opportunity to practice welding skills without all of the sparks and danger, allowing for Sampson to be more in line with other community colleges in the nation and across the state. According to Goldbold, once a student completes a virtual learning session, the program will print out a report on the student’s performance. Along with images of the student’s virtual welding experience, statistics on position, length, angle, and speed are also available. Construction on the new 10,000 square-foot facility began in March and is scheduled for completion by the end of this year. Classes will tentatively begin in spring semester 2020. The new facility will offer a welding lab, general purpose classrooms, faculty offices, conference space and restrooms. Despite rain delays, the construction is making progress and on track to meet the project completion date. Total bid cost for the new welding building is $3,286,127, which will be funded through a combination of local, state and federal funds, including a $1.74 million grant from the Economic Development Administration, which provides matching funds on a dollar-for-dollar basis. Work is to be completed by Daniels and Daniels Construction of Goldsboro. The new facility replaces a a smaller shop area that was previously housed in a 25-year old metal building and used for welding construction. The current location lacks proper ventilation, adequate instructional space and cannot be renovated or expanded to adequately support the use of automated and robotic devices. Local businesses and industries are set to be enhanced by the training that will be provided to the welding students through the new facility. Companies like Hog Slat, Prestage Farms, Dubose National Energy, Smithfield Hog Production, Enviva, Schindler and Robinson and Son Machines have state that their businesses could grow by $8.8 million as a result of a better trained workforce. While the new facility will be located in Sampson County, surrounding counties will also benefit from the expanded facility and training services. Local industries will not only assist in writing the curriculum used to train the workers, but have a larger pool of trained individuals to pull from when hiring, therefore decreasing the local unemployment rate. Barney Grady, coordinator of the Building and Industrial Programs at Sampson, says the new facility will be among the nicest welding facilities in the state and only benefit students who are part of the program. The new 10,000 square-foot welding facility is on schedule to be complete by the end of this year. https://www.clintonnc.com/wp-content/uploads/2019/04/web1_Welding1.jpgThe new 10,000 square-foot welding facility is on schedule to be complete by the end of this year. 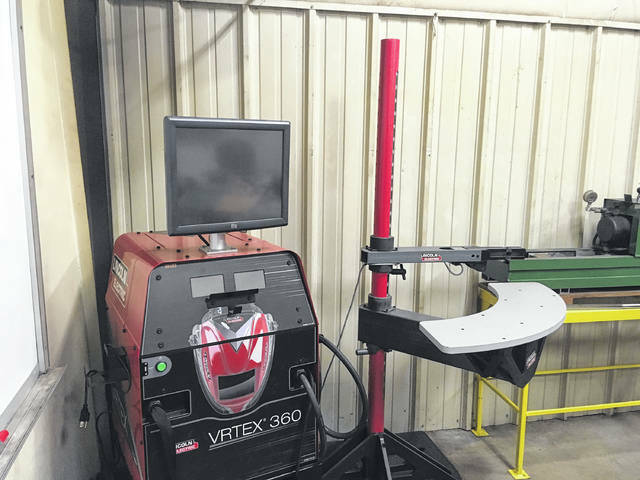 A new welding simulator will allow students to learn hands-on with virtual welding experiences. https://www.clintonnc.com/wp-content/uploads/2019/04/web1_Welding2.jpgA new welding simulator will allow students to learn hands-on with virtual welding experiences. Pictured are Kevin Shaffer from Lincoln Electric, maker of the welding simulator, as well as Dale Godbold, Mark Brown and Barney Grady looking over the new equipment. https://www.clintonnc.com/wp-content/uploads/2019/04/web1_Welding3.jpgPictured are Kevin Shaffer from Lincoln Electric, maker of the welding simulator, as well as Dale Godbold, Mark Brown and Barney Grady looking over the new equipment. Copy Editor Kristy D. Carter can be reached at 910-592-8137, ext. 2588.